This meeting aims to bring together geoscientists from all over the world into one meeting covering all disciplines of the Earth, Planetary and Space Sciences. EGU also provides a forum where young scientists can present their work and discuss their ideas with experts in these fields. El grup GAMA us desitja un Bon Nadal i un Bon Any Nou 2013! El grupo GAMA os desea una Feliz Navidad y Feliz Año Nuevo 2013! 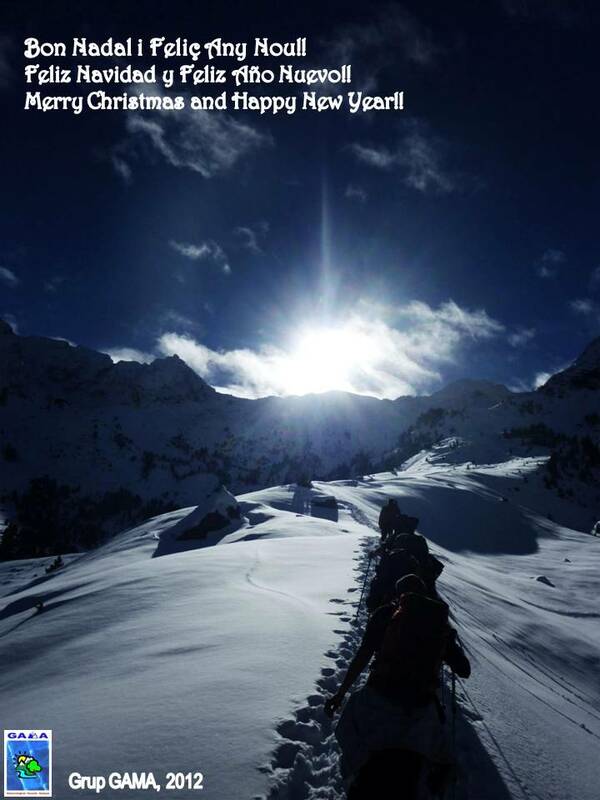 The GAMA team wishes you all a Merry Christmas and a Happy New Year 2013! Article publicat al llibre de l’AEC 2012.